Advent has a twofold character, for it is a time of preparation for the Solemnities of Christmas, in which the First Coming of the Son of God to humanity is remembered, and likewise a time when, by remembrance of this minds and hearts are led to look forward to Christ’s Second Coming at the end’ of time. For these two reasons, Advent is a period of devout and expectant delight. 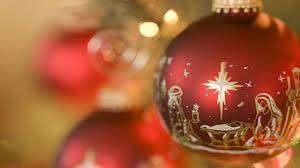 Fourth — the events immediately preparatory to the Lord’s birth. The liturgy for today directs our minds to the Last Day, to the Second Coming of Christ, to the Day of Judgement. We look at this not as individuals, but as a qreat gathering of all peoples. The suddenness of the coming of the Lord may make us a little afraid, but we should look forward in joy — rejoice when we hear them say ‘Let us go to God’s house’. St Paul tells us how to live in the meantime: be fully awake and cost off the works of darkness. The passage comprises several teachings of Jesus, all on the general theme of waiting. However, each teaching forms a unit on its own, so begin by identifying which section you want to meditate on. Verses 37 to 39 describe what happens ‘when the Son of Man comes’, the story of the Flood being the model. Make sure you get the precise point of the teaching. It is not that the people were bad or immoral – that is not the point Jesus is making. He is stressing only the suddenness and unexpectedness of the coming. Verses 40 and 41 are another description of the coming but the point here is quite different: it is the indiscriminate way in which some are taken and some left. Be creative in interpreting the meaning of ‘taken’ and ‘left’, starting of course from your experience. Verses 42 and 44 are two exhortations of Jesus; they are nearly identical although the metaphor in each is slightly different – ‘stay awake’ in vs. 42 and ‘stand ready’ in vs. 44. The stress is slightly different in each too, ‘you do not know’ in vs. 42 and ‘an hour you do not expect’ in vs. 44. In your meditation be faithful to the exact text. Verse 43 is a parable which you should take on its own. Enter into the parable as it stands, in particular the metaphor of the burglar who breaks through the wall of the house. Your meditation will help you feel for this image of God’s unexpected coming. – there was a sudden death in the family. right up to the day when Noah went into the ark. We too suspected nothing till this terrible flood came and swept all away. but also when we felt your presence with us. Lord, it is strange how life turns out. with members of our family, our friends at school. – in marriage, at work, in health, in spiritual growth. Much of it was chance. one is taken and the other is left. Lord, into your hands we commend ourselves. and decide which will be taken and which one left. Lord, things were going well in our church community. We thought that we had everything under control. Then one day trouble appeared again and the community was torn apart. in countries that are torn by war. never despairing because you will show yourself at an hour we do not expect. confident that we would return at an hour they did not expect. Sisters and brothers, today is the first day of the season of Advent. In four weeks’ time we will celebrate Christmas and the coming of the Son of God among us as our prophet, our priest, and our king. But to know who Jesus is, we must recall the faith of the people who looked out for him, we must look to the writings of the Old Testament to see what they say about the promise of God to visit his people — and during these coming weeks we will read much from the prophet Isaiah; we must recall those who prepared the way for his coming — and we will recall the work of John the Baptist; and we will reflect on how the Christ comes to birth in our world through our faith and discipleship — and we will remember Mary whose faith and acceptance of the invitation of God inaugurated the whole Christian era. Let us stop and in silence note that this moment is an important turning point in our year. 1. The time we are now entering is for most people ‘the run up to Christmas’. It is that for us too, but it also has a far more serious side. To say that ‘The Lord is coming’ or to pray ‘Come Lord Jesus’ (maranatha) is part of the most basic Christian confession of faith: we are a people who are looking forward, who believe we are on a journey, a pilgrimage, towards a destination. This destination is an encounter with the Lord, and it is variously described as ‘the Second Coming’, the time of ‘the return of the Son of Man’, when he ‘comes again to judge the living and the dead’, of ‘the Day of the Lord’. Indeed, we believe this journey toward the Day of the Lord is something that responds to a most basic instinct implanted within our humanity by the Creator: ‘You [0 God] have made us for yourself and our hearts are disquieted until they rest in You’ (St Augustine, Confessiones 1,1,1). And, it is the Christian confession that we encounter God in his Christ. So part of our reflection in Advent is on the end-times and our encounter with the Lord when he comes again. So, in short, we are a people looking forward to the Day of the Lord’s Second Coming. And this is the time of year when our cycle of ritual puts these thoughts, as in today’s gospel, before us. 2. To declare that we are waiting for when Christ ‘will come again in glory to judge the living and the dead’ (the creed), tells us nothing about the nature of the final judgment. 1. The time we are now entering is for most people ‘the run up to Christmas’. It is that for us too, but it also has a far more serious side. To say that ‘The Lord is coming’ or to pray ‘Come Lord Jesus’ (maranatha) is part of the most basic Christian confession of faith: we are a people who are look­ing forward, who believe we are on a journey, a pilgrimage, towards a destination. This destination is an encounter with the Lord, and it is variously described as ‘the Second Coming’, the time of ‘the return of the Son of Man’, when he ‘comes again to judge the living and the dead’, of ‘the Day of the Lord’. Indeed, we believe this journey toward the Day of the Lord is something that responds to a most basic instinct implanted within our humanity by the Creator: ‘You [0 God] have made us for yourself and our hearts are disquieted until they rest in You’ (St Augustine, Confessiones 1,1,1). And, it is the Christian confession that we encounter God in his Christ. So part of our reflection in Advent is on the end-times and our encounter with the Lord when he comes again. So, in short, we are a people looking forward to the Day of the Lord’s Second Coming. And this is the time of year when our cycle of ritual puts these thoughts, as in today’s gospel, before us. The secular sense of hope, which is most accurately expressed as wishful thinking, lacks surety or certainty. To be hopeful in the secular sense is to articulate a desire or a wish that may or may not be realised. For example, when we say, ‘We hope that our business will not become bankrupt’, our wish is for success in business but we cannot be certain that there will be success. In sharp contrast, Christian hope is a virtue and it expresses certainty based on God’s promise to be faithful to us in all circumstances. For instance, when we say, ‘We hope in the resurrection of the dead’, we are not simply engaging in wishful thinking. We are articulating and communicating a certainty that is based on our faith. 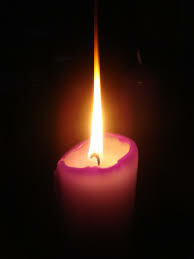 In faith and in hope we begin Advent this week with its first candle. 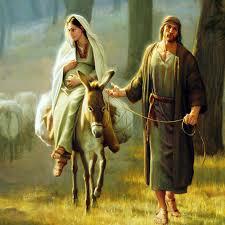 With Mary and Joseph we wait for Christ. The candles are lighting the way for them – and for us! The coming light of Jesus lights both our waiting and our journey in life. May it shine the light of Christ into the darknesses of the year since last Christmas – bereavement, illness, depression, disappointments? We prepare best for Christmas by spreading this light. The way to celebrate Christmas is rooted in our following of the gospel. Among our ways are care for the poor, some daily prayer, and the wish to forgive and be forgiven. All the different images of Christmas prepare us for this birth – the carols we hear and sing, the lights in the streets, the star over the church and the ways we pray with anticipation and remem­ber other Christmas days with joy. Everything of this month can remind us of God. The Christ­mas trees, lights, cards, carols, parties, Santa hats, the houses lit up with reindeer and all the things we see about Christmas, all remind us that God is near. We welcome this light in the spirit of Pope Francis: ‘Those who have opened their hearts to God’s love, heard his voice and re­ceived his light, cannot keep this gift to themselves. Since faith is hearing and seeing, it is also handed on as word and light’ (The Light of Faith, 37). Remember some people or memories that make you grateful for Christmas. Thank God for these in your own world. into the world, which needs you badly. Noah’s flood and the thief are signs that the Lord will return for those who have been faithfully waiting for his return. Although Matthew is writing his Gospel for a Christian community who expected Christ’s return during their lifetimes, this Gospel can also be read as Jesus teaching us about the reality of our own deaths and being ready at every moment we are given to meet the Lord. Jesus calls his Church and Christians of every place and time to be conscientious in the call to be prophets, confronting a “sleeping” world with the risks of losing its soul. These first days of Advent confront us with the reality that this life of ours is indeed limited, that the moments we are given in this experience of life are precious and few, that death is a reality that we all inevitably face. Advent calls us to “stay awake” and not sleep through the opportunities life gives us to discover God and the things of God, to “watch,” to pay attention to the signs of God’s unmistakable presence in our lives. Life is a constant Advent experience: Our lives are Advents of waiting to be healed, waiting to make things better, waiting to complete and move on; the everyday Advents of our lives are filled with fear, doubt and struggle. 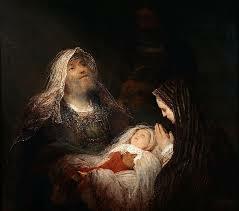 Our “Advents” our ultimately fulfilled in the coming of the Christ, who comes to dwell in our midst. Kate Braestrup is a chaplain with the Maine Warden Service, the men and women who conduct search-and-rescue missions in the deep woods and frozen ponds of northern Maine. As chaplain, Kate has become an expert in waiting: While wardens search, Kate holds families and friends of the lost together with warmhearted common sense and modest prayer whether the crisis ends well or ill. She writes about her work and what brought her to it in her book Here If You Need Me. There is always hope as the search begins, Kate writes. As they wait for news, families comfort themselves with memories of the missing loved one. They are compelled to tell Kate and the wardens what a beautiful, wonderful parent or child or friend they are searching for. For the wardens, the lost becomes their parent and child and friend, as well. After some time, families accept the reality that time is not on their side. Kate’s role then becomes one of speaking hope — realistic, grounded hope despite the family’s agony and despair. When the news is bad, Kate offers families comfort and provides a safe space for them to sort out their grief, anger and confusion. Then Kate explains the legal and medical protocols and helps them through their first difficult decisions. And when the news is good, when the lost are found and families are reunited, the job of the wardens and their chaplain is the best in the world. As Kate Braestrup has learned, waiting is hard and miserable work — but waiting is often the beginning of miracles and everyone involved is changed forever. As Kate Braestrup has learned, waiting is a wise teacher. The experience of waiting reveals the presence of God in our midst; it enables us to realize what we appreciate, value and cherish; it teaches us how to be present and attentive to family and friends; it opens up our vision and spirits to realize the love of God in our midst. In the middle of the busiest season of year, Advent calls us to embrace the wisdom of waiting: to slow down and see the goodness of God around us that we rush by too quickly to see, to behold Christ in every moment of compassion, forgiveness and joy we experience in the everyday Advent of our lives. One of the key concepts of the Old Testament was the idea of the ‘covenant’ by which God bound himself to his people, and a visible symbol of the covenant was the temple in which God dwelt among his people. In the temple was enshrined the book of the Law which was meant to guide the behavior of the people. Isaiah in today’s reading looks forward to the time when the covenant between God and his people will be extended to all people, where the temple will be the worshipping place for all mankind. He sees Jerusalem as the focal point where all peoples will come to worship the Lord in the temple on the mountain, the dwelling place of God. When that happened all people would live in peace and harmony with God and their fellow human beings. Alan Paton was a South African writer. Among the books he wrote was the haunting story, Cry the Beloved Country, which so poignantly described the situation in South Africa under apartheid. Paton had a dream. He dreamt of a new day for his beloved South Africa, a day in which there would be justice and equality for all. For this reason he entered into politics, and fought to end the iniquitous system of apartheid. For decades he followed his dream, and worked generously and courageously to make it a reality. It was a dream that many said would not be realized. Yet it was. Unfortunately, Paton did not live to see it. He died before the dawn. – The prophet Isaiah had an even bolder dream, a dream of universal brotherhood and peace. Isaiah’s vision was a splendid one. It would only be realized by the coming of the Lord Jesus. The second reading from St. Paul’s letter to the Romans is a wake-up call, and it urges us to turn away from the darkness of sin and evil and walk into the light of Christ. We can no longer sleep, for though it is not yet full day, we live no longer in darkness which favours idleness and dishonesty. If we really believe in Christ, if we are impatient for our hope to be realized, we must act as people in love with the light and truth of Christ. 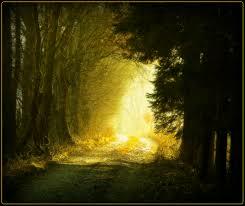 To be a Christian is to live in the light and walk in the light, striving to let His light shine in our lives. God’s wake-up call can come to people in different ways, and will mean different things to different people. In Mexico in the diocese of Bishop Samuel Ruiz almost 80 % of the population of his diocese was indigenous. The Bishop has become known as ‘the defender of the Indians.’ But it wasn’t always like that. In a talk given in Westminster Cathedral in Lent 1996, Bishop Ruiz said: “For twenty years I was like a sleeping fish. I had my eyes open but saw nothing. I was just proud to be in the diocese where the churches were crowded. Then one day I saw an Indian tied to a tree being whipped by his boss, because he had refused to work an extra eight hours.” That incident opened the bishop’s eyes and he began to look. What he saw being done to his people spurred him into action. He got involved in negotiations with the Zapato rebels and the Mexican government. One of the phrases we often use is ‘it dawned on me’. In this way we recognize that it is not enough to be physically awake. We need to be awake socially, morally and spiritually. In today’s Gospel Christ clearly urges his disciples to stay awake because we do not know when the Son of Man will return. Each day summons us to awake from our sleep. Some days we are enthusiastic in anticipating a great day ahead, on other days we dread the beginning of a new day. Life may be empty and monotonous for us. We may be unemployed, or retired, sickly or old and there is nothing to look forward to. No one has a perfect life. All of us have some difficulty or another. It is how we face life that makes all the difference. Advent issues a spiritual wake up call for all of us, and has an awakening power. To be spiritually awake means to be open, receptive, vigilant and active. To be spiritually awake is to be attentive to God and others. In today’s Gospel Jesus reminds us that in the days of Noah people took it easy, they carried on doing the usual things and were caught off guard when the floods came. Only Noah heeded the warning and built himself and his family an ark to save them from the flood. We are not being asked to run out and build a boat to escape, or to buy a parachute, or construct an anti- raid shelter. We are being asked to listen to the Lord so that we may walk in his path and live according to his precepts and commandments. 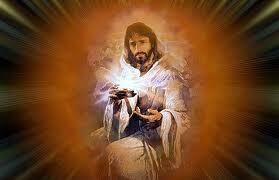 Jesus also talks of the future coming of the Son of man. We prepare for the future coming by taking responsibility for the present time. The only way we can prepare for an unpredictable event is to make the present a time of fidelity. A man came to Buddha and asked him, “Tell me Buddha, are you a God?” “No, I am not a god.” “Are you an angel?” “No, I am not.” “Are you a prophet?” “No, not a prophet either.” “What are you then?” Whereupon Buddha answered… “I am awake.” – Most of us are not awake. We are always in slumber. We are not aware of our own thoughts, feelings and actions. We function most of the time, like an automaton. The enlightened are those who are aware and awake. Samuel Beckett’s play Waiting for Godot focuses on two main characters, Vladimir and Estragon. They sit around waiting for the coming of a mysterious person known only as Godot. As they wait for him they try to recall what their meeting is all about. They know that it is important and that their future depends on Godot’s arrival, but that is all that they can remember. Then two other characters appear on the stage. Vladimir and Estragon are not sure if either one is Godot since they do not know how to recognize him. As the play ends Vladimir and Estragon are left alone on a dark and empty stage, still waiting for Godot to come. –Today’s liturgy ushers the season of ‘Advent’ Advent celebrates our Lord’s coming in three ways: first, in past history, when he was born a man; second, in the present time, when he comes at Christmas; third, in the future, when he will return at the end of time. In a sense, this final and future coming of Christ is a process, one that will begin for us personally when we die and time will end for us. For the moment, we are still living in a ‘mean-time’. That is, the time between Christ’s coming in past history to share our humanity and his coming in the future to lead us into glory. Lest our waiting in this ‘mean-time’ be empty and meaningless, as it seemed to be for Vladimir and Estragon in Beckett’s play, we celebrate an Advent culminating in a Christmas each year to recall why we are waiting and for whom we are awaiting. Another purpose of Advent is to instruct us how to recognize the Lord’s coming – in the duties we carry out, or the things that happen to us, or in the people we meet. During Advent we have to discipline ourselves to see Christ in every one and in every situation. Our waiting then will not be one of frustration, but rather one of readiness and anticipation. Advent is a time of warning, a time of preparation, a time of urgency. It is supposed to prepare for Christmas, but the Christmas of everyday life as much if not more than the festival of December 25. While the apocalyptic rhetoric of today's Gospel might not be the exact words of Jesus and while in any case that rhetoric was not meant to be taken literally, the urgency of the message is surely his. We must not slip into the routine of ordinary life and miss the opportunity of life itself. Time and with it life slips through our fingers. Tomorrow never comes but ends up yesterday until there are few tomorrows left in our life and all too many yesterdays. It looked like forever and it was only a very short time, so little time. And so much waste, so many lost opportunities. Advent is a time of recalling opportunities lost in the past and taking steps to miss fewer opportunities in the days and weeks and years ahead, such as these may be. Once upon a time there were two eighth grade girls, Lois and Ella Mae, who were both sensational volley ball players. Lois was the captain of the team and the best player on the team. Ella Mae was co-captain and the second best player on the team. They were also “best friends” and were together all the time even when they weren’t playing volleyball. Ella Mae didn’t mind being second best and Lois didn’t think being best was all that big a deal. There was one difference between them, however, and I bet you know what it is. I wouldn’t want to say that Lois was lazy exactly, but she was just a big deficient in the work ethic area, know what I mean? Ella Mae on the other hand was almost compulsively committed to practice. Hardest working player in the whole school, including the boy athletes. Lois used to tell herself – and everyone else who would listen to her – that Ella Mae had to work hard because she didn’t quite have all the talent at a co-captain ought to have. WELL, the team wom their section and their division, and their region. They were really good, Lois was the best spiker in the city and Ella Mae never gave up on what looked like a lost point. Finally they came to the city championship against their traditional rivals, St. Adelbert. Ella Mae wanted to practice every day the week before. Lois said two days was enough. After all, there was more to being in eighth grade than volleyball. You know what happened? Sure you do. They lost to St A by one point because they were just a little bit out of condition. Don’t cry, Ellie, Lois said to her friend in the local ice cream store where they were eating pink pistachio peppermint ice cream. We’ll have lots of championship games in high school. BUT, Ella Mae sobbed, we’ll never have an eighth grade championship game again. It is officially "count-down" time. The moment the red cranberry sauce is wiped off our chins and cleaned off the tablecloth, Black Friday starts. And on Black Friday comes the count-down of the diminishing days until Christmas. That tick-tock of passing time is supposed to induce us into a buying panic and jump-start our frenzied consumerism. It pretty much works. But the church has its own "countdown to Christmas." It is called "The Season of Advent." Instead of being a time of consumer manic panic, Advent is a time of preparation for the gift of a miraculous presence. This "preparation" is not about decking the halls or trimming the tree. This "preparation" is not about baking cookies or wrapping packages. This "preparation" is about a truth which comes into the world, not abstract pure and antiseptic clean, but cradled in dirt and mangered in mystery. Advent is an alarm clock, a moment of truth to rouse out of the "get-by and keep-going" stupor of this world and WAKE UP! Wake up to the impending gift of a new beginning. Wake up to the first baby steps of the Kingdom entering this world through a stable of animals and a cradle of straw. Wake up from our dogmatic slumbers into the new light of life. William Willimon tells the story of a funeral he attended when he was serving a small congregation in rural Georgia. One of his members' relatives died, so Willimon and his wife attended the funeral held in an off-brand, country Baptist church. He writes: "I had never seen anything like it. The preacher began to preach. He shouted; he flailed his arms. 'It's too late for Joe. He's dead. But it ain't too late for you. People drop dead every day. Why wait? Now is the day for decision. Give your life to Jesus.' "
Willimon goes on to suggest that this was the worst thing he had ever seen. He fumed and fussed at his wife Patsy, complaining that the preacher had done the worst thing possible for a grieving family - manipulating them with guilt and shame. Patsy agreed. But then she said: "Of course the worst part of it all is that what he said is true." My friends, each one of us lives in the shadow of the apocalypse - the dark reality of the end of our time and the end of the world's time. That is the warning of Advent. But there is also good news. There is also the promise of Advent - the promise that in the darkness, in the shadows, in the unpredictable anxiety of our unfinished lives, God is present. God is in control, and God will come again. 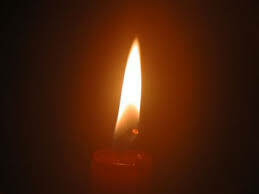 With each candle we light, the shadows recede a bit, and the promise comes closer. With each candle we light, we are proclaiming that the light shines in the darkness and the darkness will never overcome it. The promise is that wherever there is darkness and dread in our lives, wherever there is darkness and dread in the world around us, God is present to help us endure. God is in charge, and hope is alive. And as long and as interminable as the night seems, morning will come - in God's good time and God's good way. Martin, the Cobbler, is Leo Tolstoy's story about a lonely shoemaker who is promised in a dream that Christ will come to visit his shop. The next day Martin rises early, gets his shop ready, prepares a meal and waits. The only one who showed up in the morning was an old beggar who came by and asked for rest. Martin gave him a room he had prepared for his divine guest. The only one to show up in the afternoon was an old lady with a heavy load of wood. She was hungry and asks for food. He gave her the food he had prepared for his divine guest. As evening came, a lost boy wandered by. Martin took him home, afraid all the while he would miss the Christ. That night in his prayers he asks the Lord, "Where were You? I waited all day for You." I was a beggar with bruised feet. I was the homeless child on the street." Watch out! Christ may be closer than you can imagine. Here is a version of the 23rd Psalm that ought to be mandatory reading each day of Advent, and a unison reading each Advent Sunday. A version of Psalm 23 from Japan, as reprinted in Mother Teresa, Life in the Spirit: Reflections, Meditations, Prayers, ed. Kathryn Spink (San Francisco, Harper & Row, 1983), 76-77. In Monty Python's sketch, "The Spanish Inquisition," a man is being questioned in a way that surprises him and he says, "Mr. Wentworth just told me to come in here and say that there was trouble at the mill, that's all - I didn't expect a kind of Spanish Inquisition." As if on cue, inquisitors burst into the room and one of them says, "NOBODY expects the Spanish Inquisition! Our chief weapon is surprise...surprise and fear...fear and surprise.... Our two weapons are fear and surprise...and ruthless efficiency.... Our three weapons are fear, surprise, and ruthless efficiency...and an almost fanatical devotion to the Pope.... Our four...no... Amongst our weapons.... Amongst our weaponry...are such elements as fear, surprise.... I'll come in again." The inquisitors exit the scene to re-enter and begin the speech again. Nobody expects the Spanish Inquisition. "If the owner of the house had known in what part of the night the thief was coming, he would have stayed awake and would not have let his house be broken into" (Matthew 24:43). The Son of Man is coming at an unexpected hour. I remember seeing a cartoon depicting a church that had been built in close proximity to an active volcano. In the picture are the church, its sign - "The Church Next to the Active Volcano" - and two men standing in front of the church, one of whom is wearing a clergy shirt and appears to be speaking to the other man. The caption reads, "Of course, there is a high degree of risk being located here, but it lends a great sense of urgency to my preaching!" Someone once asked Wayne Gretsky, the great hockey player, how he managed to become the best goal-scorer in the history of the game. He simply replied, "While everyone else is chasing the puck, I go where the puck is going to be." "We have learned to soar through the air like birds, to swim through the seas like fish, to soar through space like comets. 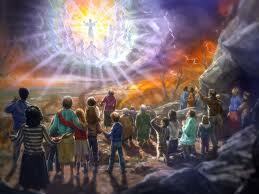 Now it is high time we learned to walk the earth as the children of our God." A.J. Gordon was the great Baptist pastor of the Clarendon Church in Boston, Massachusetts. One day he met a young boy in front of the sanctuary carrying a rusty cage in which several birds fluttered nervously. Gordon inquired, "Son, where did you get those birds?" The boy replied, "I trapped them out in the field." "What are you going to do with them?" "I'm going to play with them, and then I guess I'll just feed them to an old cat we have at home." When Gordon offered to buy them, the lad exclaimed, "Mister, you don't want them, they're just little old wild birds and can't sing very well." Gordon replied, "I'll give you $2 for the cage and the birds." "Okay, it's a deal, but you're making a bad bargain." The exchange was made and the boy went away whistling, happy with his shiny coins. Gordon walked around to the back of the church property, opened the door of the small wire coop, and let the struggling creatures soar into the blue. The next Sunday he took the empty cage into the pulpit and used it to illustrate his sermon about Christ's coming to seek and to save the lost -- paying for them with His own precious blood. "That boy told me the birds were not songsters," said Gordon, "but when I released them and they winged their way heavenward, it seemed to me they were singing, 'Redeemed, redeemed, redeemed!'" What is time? Who can easily and briefly explain this? Who can comprehend this, even in thought, so as to express it in a word? Yet what do we discuss more familiarly and knowingly in conversation than time? Surely, we understand it when we talk about it, and also understand it when we hear others talk about it. What, then, is time? If no one asks me, I know; if I want to explain it to someone who asks me, I do not know. In the Book of Genesis we find the story of Noah. There had been endless days on the ark... days of waiting and hoping. In every direction Noah could see only water. One day, in faith, he released a dove to search for land. The Bible says the dove "found no place to set her foot" and returned. Noah was put on hold. He had to wait. He waited with faith and in hope. 1: Unheeded warning: Early Sunday morning, June 30, 1974, a hundred young people were dancing to the soul-rock music at Gulliver’s in Port Chester, on the border between New York and Connecticut. Suddenly the place was filled with flames and smoke. In a few minutes 24 were dead, burnt by fire, suffocated by smoke, and crushed in the exit passage by the escaping youngsters. According to the Mayor of Port Chester, the dancing crowd ignored the repeated and frantic warnings given by the band manager when he noticed the smoke. Today’s second reading tells us about the warnings given by St. Paul, and today’s Gospel gives the warning to be vigilant and prepared given by Jesus. 2: Doomsday paranoia: The Jehovah’s Witnesses frightened gullible followers at least 3 times during the last century with their “end of the world” predictions – in 1914, 1918 and 1974. It was in 1978 that the media flashed the shocking news of the mass suicide of 914 men and women from the U.S.A. They belonged to a doomsday cult called the Peoples Temple, in Jonestown, Guyana and they committed suicide at the command of their paranoid leader, Rev. Warren (Jim) Jones. In 1988 Edgar Whisenant, a NASA engineer, used his mathematical skills to set a date for the return of Jesus. He wrote a book called, 88 Reasons Why the Rapture Will Take Place in 1988. In the same year Rev. Colin Deal published a book titled Christ Returns By 1988 – 101 Reasons Why. A very popular book in 1989 was 89 Reasons Why the World will End in 1989. It was in 1995 that the landmark apocalyptic thriller novel, Left Behind, first of a series of 16 books by Tim LaHaye and Jerry Jenkins (Left Behind, Tribulation Force, Nicolae, Soul Harvest, Apollyon, Assassins, The Indwelling, The Mark, Desecration, The Remnant, Armageddon, and Glorious Appearing + 4 new ones) began hitting Christian bookstores. Since then, over 62 million copies of the Left Behind series and its related books have been sold, generating $650 million. In October, 2005 a big-budget film, Left Behind, based on this novel series, was released and shown in all Evangelical Christian parishes. The film Omega Code, released in October 1999, was an independent movie funded by the Trinity Broadcasting Network, the largest Evangelical Christian TV network in the U.S. It was promoted by a team of 2,400 U.S. Evangelical pastors. The plot involves a portrayal of the rapture, when “born again” and "saved" Christians, both alive and dead, are supposed to fly up in the air to meet Jesus on his Second Coming. Omega Code was rated in the top 10 grossing movies for October 1999. This is how modern man reacts to the end of the world. Today’s readings remind us that we should be well prepared and always ready to meet Jesus at all times, either at the end of our lives or at the end of the world, whichever comes first, without getting panicky.